Detective Bill Brewer was fatally wounded when gunfire broke out during a 12-hour standoff with a 23-year-old barricaded subject. Photo: Clermont County (OH) Sheriff's Office. 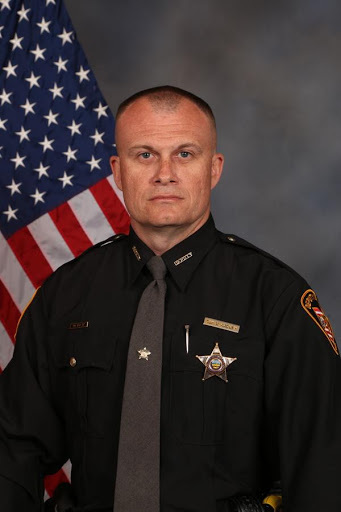 One deputy with the Clermont County (OH) Sheriff's Office was killed and another injured when gunfire broke out during a 12-hour standoff with a 23-year-old barricaded subject. According to CNN, 20-year veteran Detective Bill Brewer was fatally wounded and 22-year veteran Lieutenant Nick DeRose was injured Saturday night. Both were transported to a nearby hospital where Brewer succumbed to his wounds and DeRose was treated and released. The suspect—23-year-old Wade Edward Winn—has been charged with aggravated murder and attempted aggravated murder. Detective Brewer is survived by a wife and 5-year-old son.